What can say, apart from welcome to the most overdue haul in history. I think I bought the first item in this haul at the end of April, and ever since then most of these bits have sitting waiting for their moment in the spotlight, so all I can say is I'm sorry for the delay, but as the saying goes better late then never. 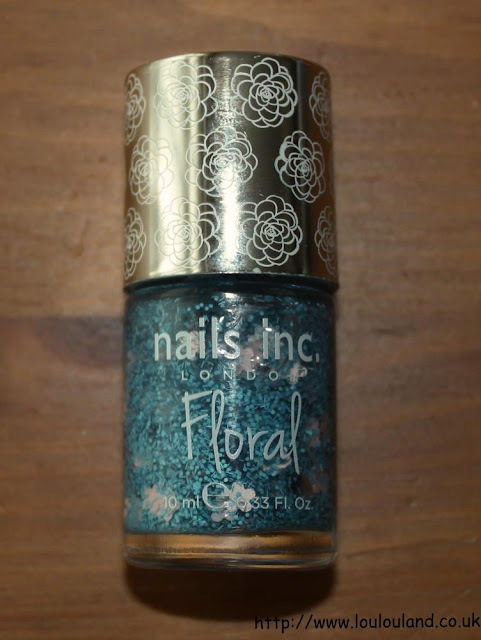 I'm going to start with the first thing that I bought nail polish. 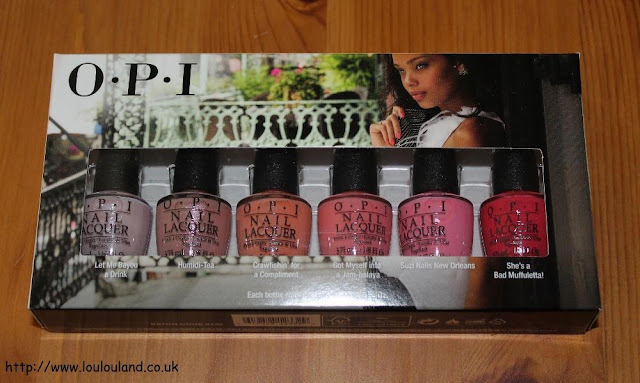 If you're a nail polish obsessive like me then you will know that the majority of high end, and professional nail polish brands, release limited edition collections several times a year, and earlier this year OPI released their New Orleans collection. 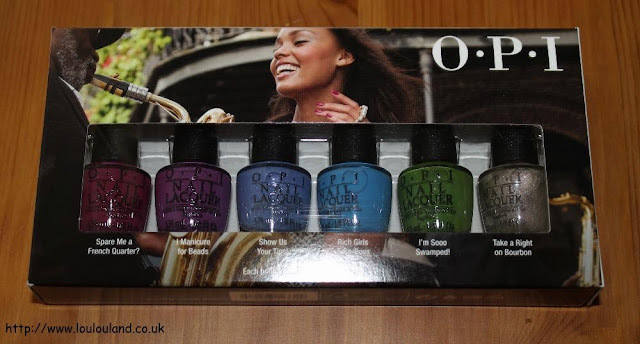 Normally I just pick up the odd colour that shouts out to me from each collection but in this case I really couldn't decide which shades that I wanted so I bought them all. Retailing at around £12.50 a bottle, buying the full collection would have been a bit excessive, thankfully though QVC were selling a limited edition boxed set of all 12 polishes in the 3.75ml mini size. As much as love looking at all of my full sized polished, I have to be honest and say that I do love a mini, you can buy more of them and lets face it how many full sized nail polishes have you actually finished! 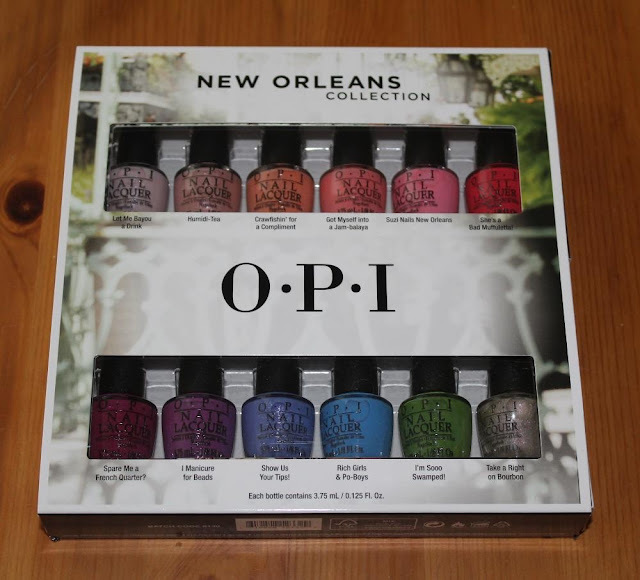 In fitting with the city itself, the OPI New Orleans collection is full of bright, vibrant colours with a few classics thrown, think of all of the strands of beads at Mardi Gras and you're about there. 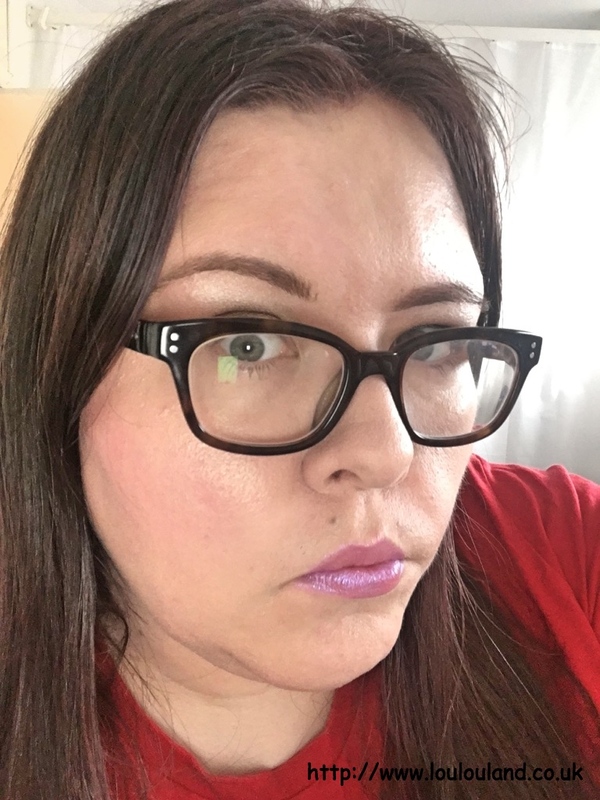 I love my purples and blues and this kit contains some real beauties including I Manicure For Beads, Rich Girls And Po Boys, and Show Us Your Tips. You've also got a bright green in I'm Sooo Swamped, a metallic taupe, in Take A Right On Bourbon, and a whole row of pink, peaches, and corals including the fabulously named She's A Bad Muffuletta! 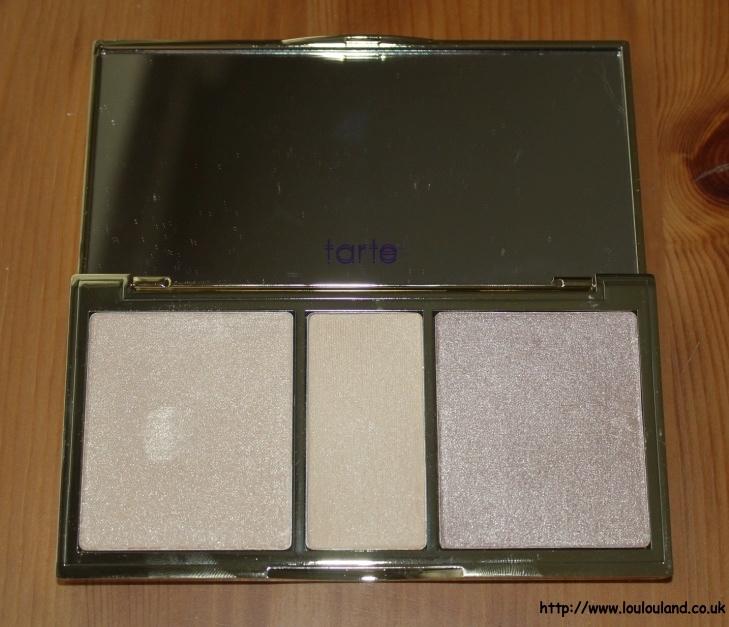 I love my pretties and something that I couldn't resist when it I saw it on QVC in April, was this gorgeous highlighting palette from US brand Tarte. On the left you have Sunlight, a gorgeous pale golden champagne shimmer. The middle shade is Filtered Light, which rather unusually is a matte shade, it's a sort of pale, creamy sand colour and finally on the right you have Moonlight, which is just a touch warmer is officially described as a rosy pearl. 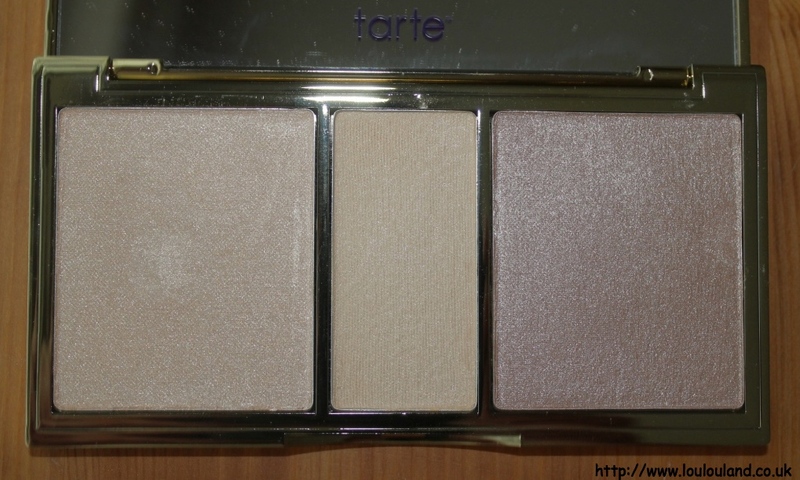 All of these shades are silky soft and feel almost invisible on the skin. 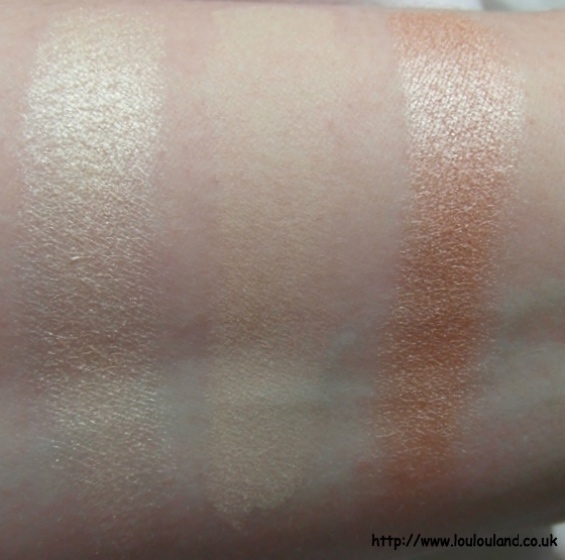 Hopefully as you can see below even with with the matte shade Filtered Light the pigmentation is excellent. 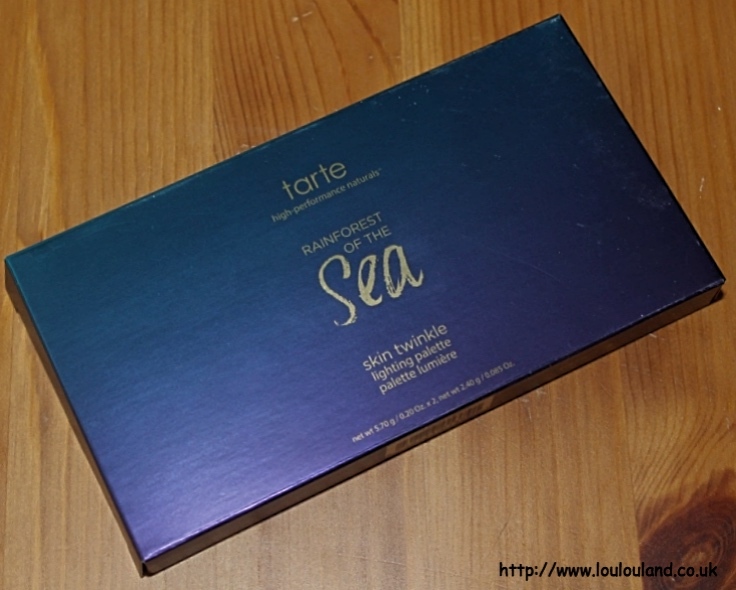 Although Tarte are having a Today's Special Value day on QVCUK today, this palette doesn't seem to be in stock but I have been told that I might be back in the UK in the Spring, if you can't wait that long though then this palette is still available on the Sephora website and on Tarte's own website which also ships to the UK. 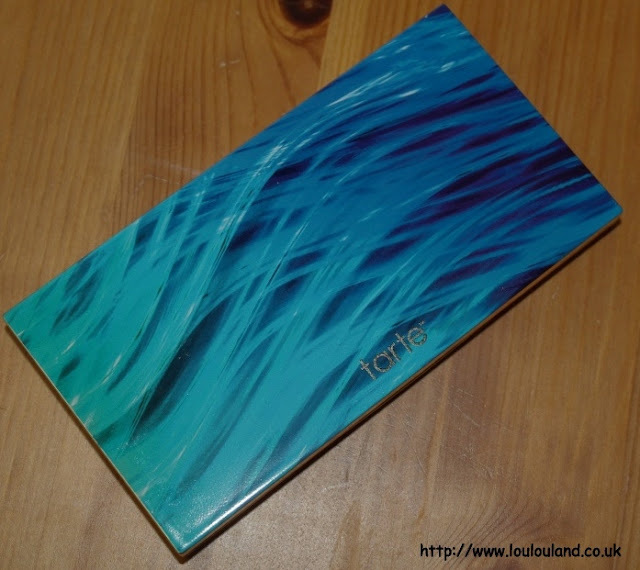 Whilst I still wish that Tarte was one of those brands that we could buy in a bricks and mortar store, I do like the fact that with QVC you always to get such a good deal on brands such as Tarte and Laura Geller. You normally get a bit of a price reduction or you get an extra thrown in. 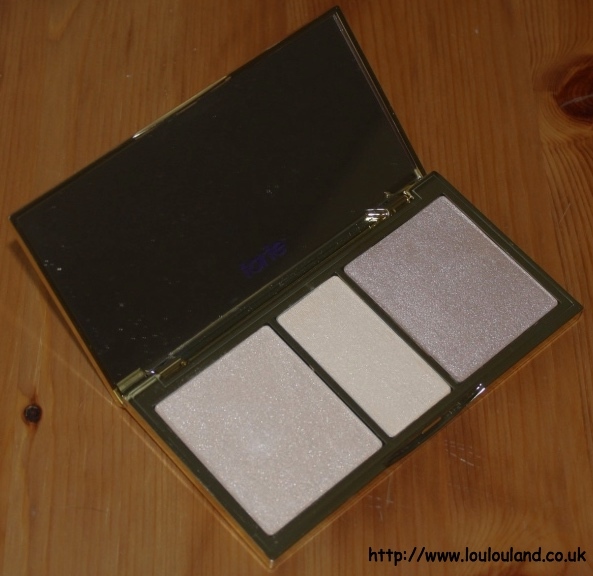 With this particular palette you also received the Rainforest Of The Sea Double Ended Highlighter Brush. In a beautiful metallic ombre design, this synthetic brush features a short, precision brush on one end and on the other end you have a fluffy angled brush. I have a few Tarte brushes in my collection now and they are all soft, silky and strokeable. 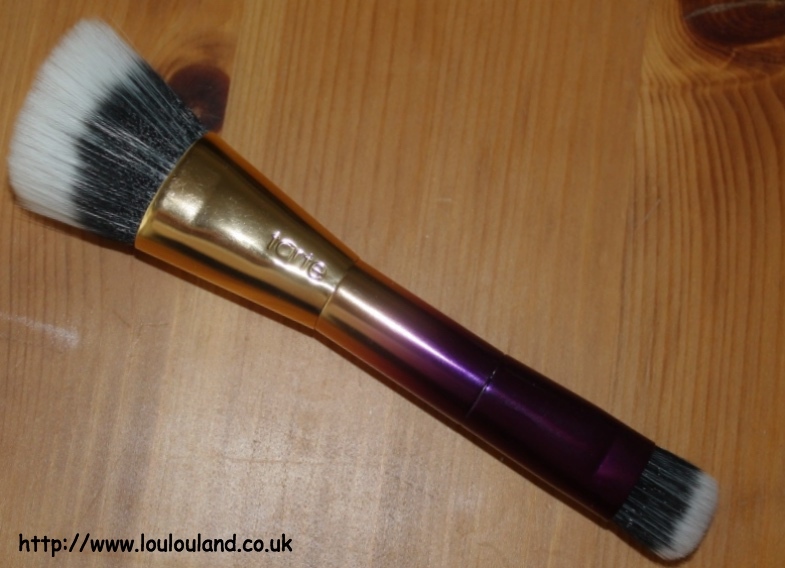 Again this particular brush is no longer on the QVC UK website but again it is available on both the Tarte and the Sephora website. 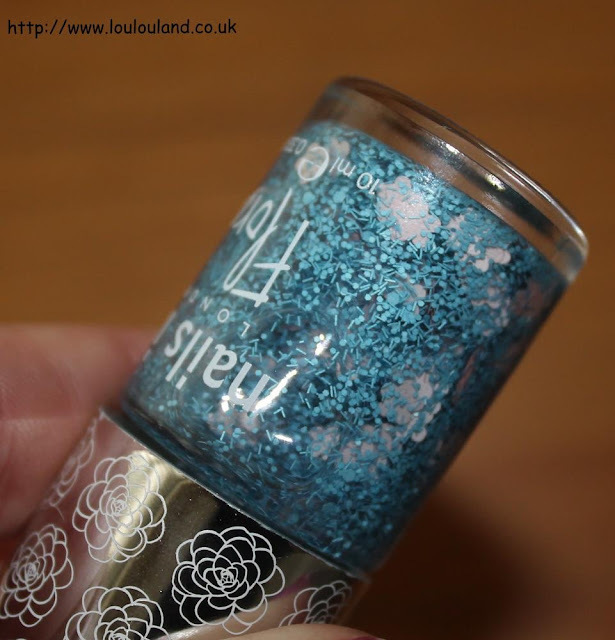 I love pretty things when it comes to make up but there is no point in apply pretty colours if you base isn't right. 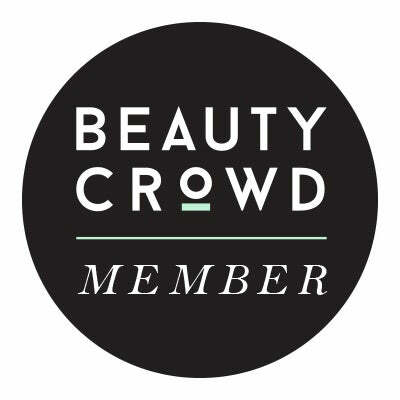 The last few products in this haul are all about creating that perfect canvas, through your make up base and through your skincare. 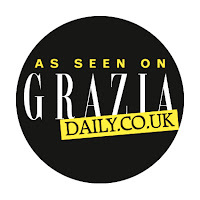 All of the product that I'm going to show you now, and all purchases that I was inspired to make after the Spring, Style Garden event and Intu Metrocentre earlier this year (You can read more about the event here). I going to go a bit out of sync though and I'm going to start with a foundation and probably the most expensive foundation that I've ever bought. I own foundations at all different price points, and to me a higher price doesn't always mean a better product but in this case it is. At the Style Garden event I was lucky enough to have a mini Giorgio Armani Cosmetics makeover, and in an instant I fell in love with the foundation that the make up artist used on me. I debated and debated but eventually that little mink LouLou my alter convinced me to spend £42 of my birthday money on a bottle of foundation. It was a lot of money but I really do love the effect and the wear time on my often oil slick prone skin. 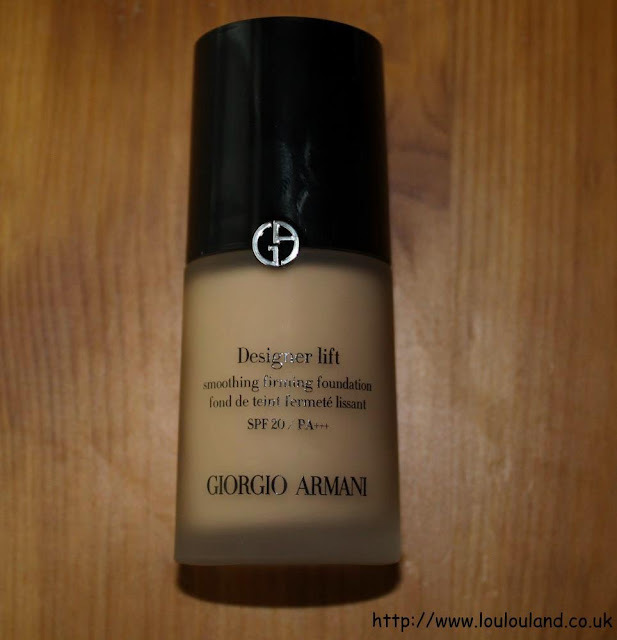 This is the Giorgio Armani Designer Lift Foundation in Shade 5. 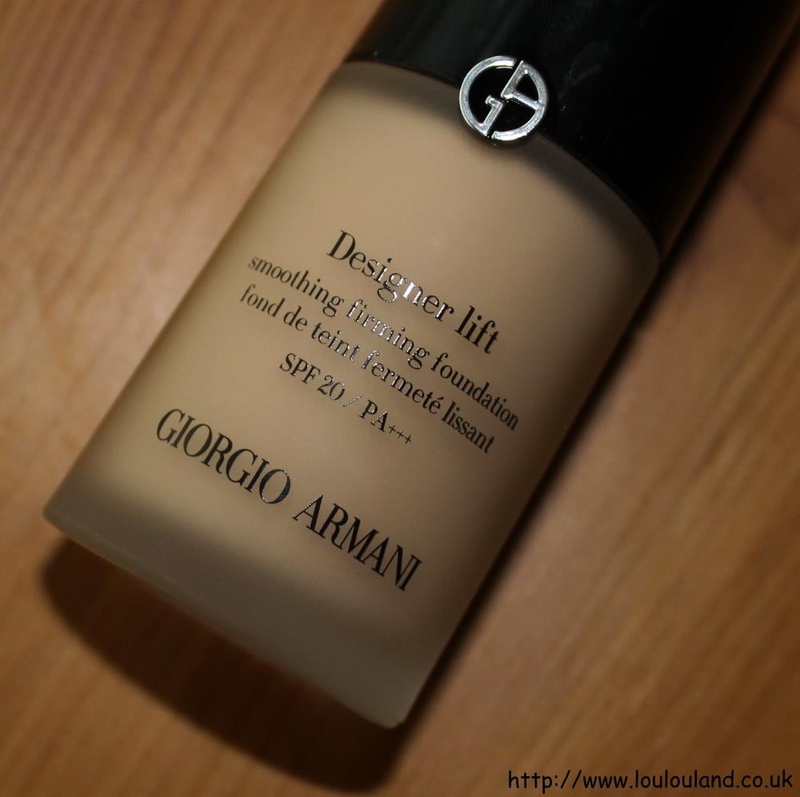 If you would like to see a full review of this foundation then let me know, and I'd be happy to do one for you. My visit to the intu Style Garden also led to another couple of purchases, and they are purchases that have since became real staples in my skincare routine. 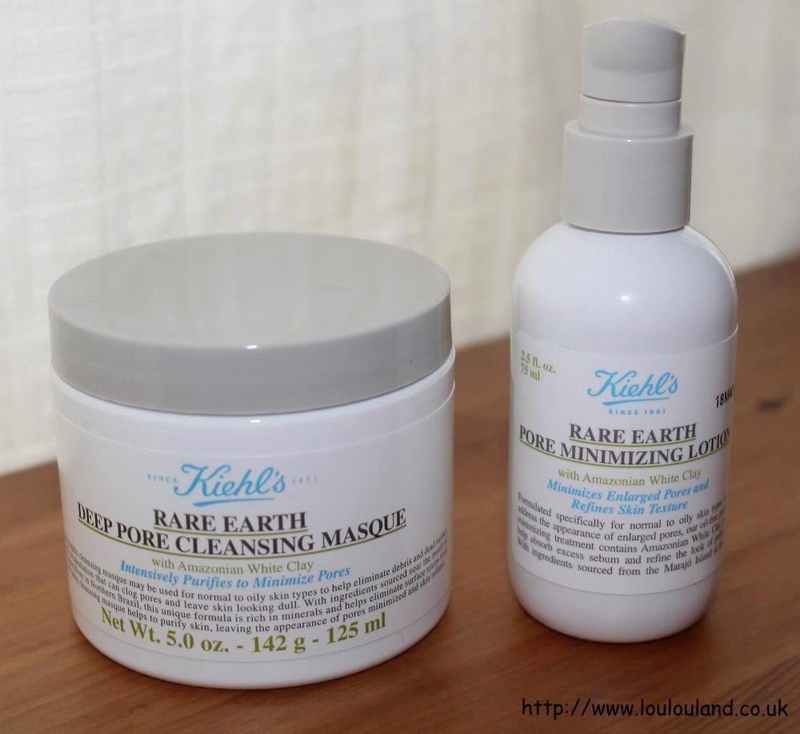 After the event I was lucky enough to go for a Kiehls facial and skincare analysis. I thoroughly enjoyed the facial and instead of introducing ever single product that they recommended at once I decided to try two product to tackle one of my problem areas, my pores. The first product that I got is one that I've used religiously every week since I got it. The Kiehl's Rare Earth Pure Cleansing Masque which retails at around £21.50 for a 125ml tub. 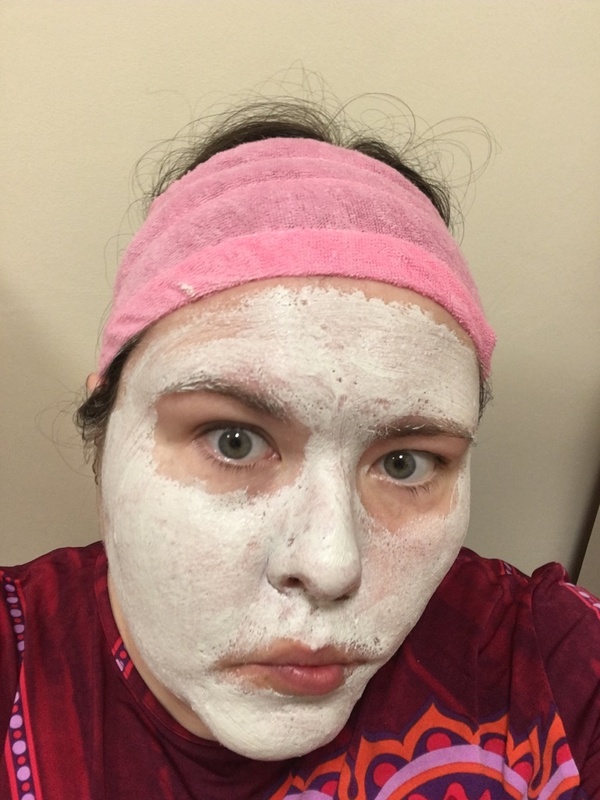 I love a good clay mask, and this one which is crammed full Amazonian white clay, and soothing aloe vera, and oatmeal, leaves the skin feeling super clean, and really, really smooth, and refreshed, and it even seems to help clear up spots and blemishes. I apply it with a mask brush so a little goes a long way, that said I'm already half way down the pot! 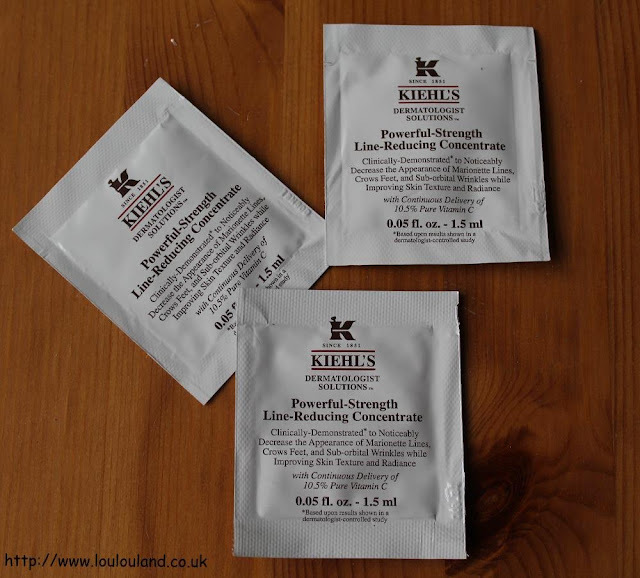 After trying out a little sample I also decided to try the corresponding moisturiser, the Kiehl's Rare Earth Pore Minimising Lotion, which retails at around £26 for 75ml. 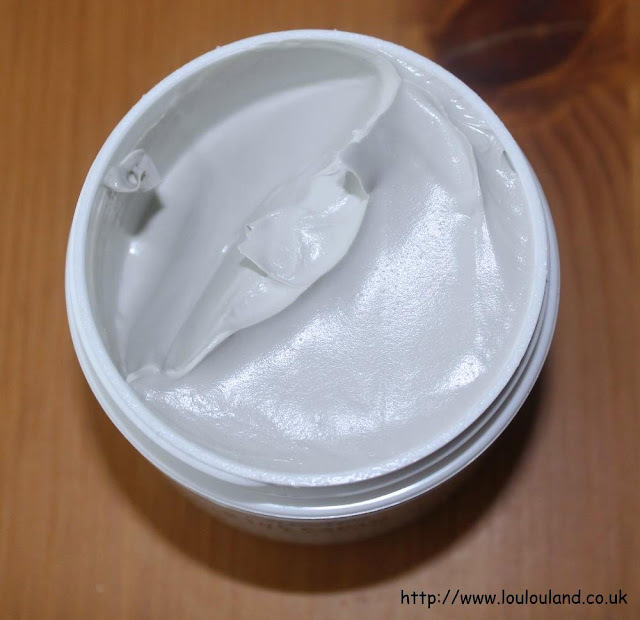 This lightweight moisturising lotion acts and both a moisturiser and as a primer. Like the mask it's full of Amazonian White Clay, which helps to absorb excess oil, and to refine and smooth the skin. It's pretty lightweight and it's definitely not for you, if your skin is on the drier side, but since I'm combining it with night time facial oils, it's been a perfect addition to my spring and summer skincare regime. I love both of these products so much that the moisturiser has already featured in one of my beauty favourites videos. As well as the products that I bought I also got quite a few sample sachets to try, including the Midnight Recover Eye, Midnight Recovery Concentrate, Ultra Light Daily UV Defence Sunscreen SPF 50 PA +++, and 3 sachets of the Powerful Strength Line Reducing Concentrate. 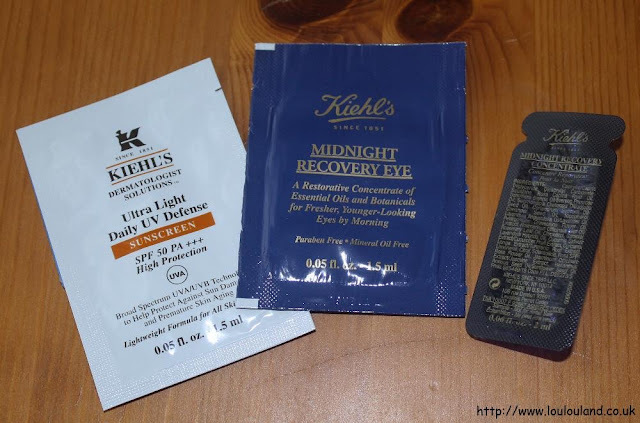 Kiehl's are very generous with the sample so you might see some of those in a future sample Saturday post. I still have so much to show you haul wise, the picture below might just give you a taster but all of my future haul post will be combined haul and review post so I can (cue horrible saying!) kill two birds with the one stone! 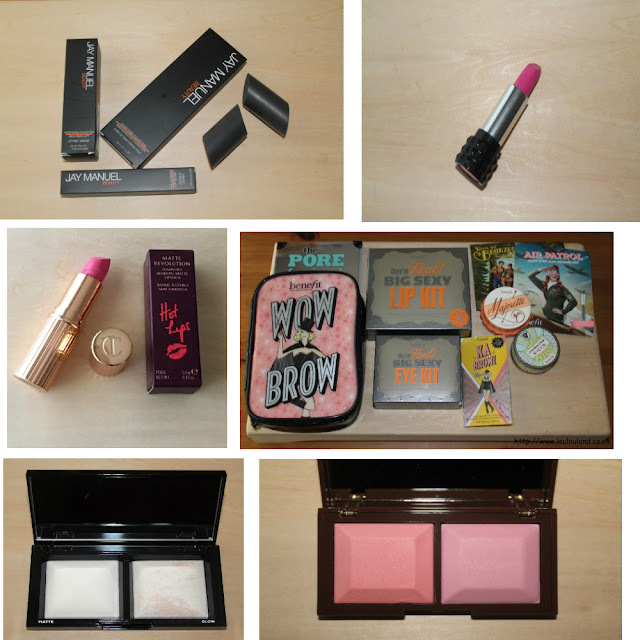 I've got lots of Benefit goodies to show you, including some of their newest releases, I've also got some Jay Manuel products, some Kat Von D, some KIKO, some Charlotte Tilbury, some more OPI products and much, much more to show you over the next few months so make sure you're following for your beauty fix. In the meantime if you have any questions or comments on anything on this haul, then please leave me a comment x Thanks for reading.